Skies are an important part of landscape or cityscape images, but often the camera doesn’t capture them as you saw them through the viewfinder. Our eyes are far more sophisticated pieces of kit than a camera, however expensive or technologically advanced it is, and we often end up with images where the sky is dull or washed out. Well, you could spend ages using layers and masking in your image editor, or you could give Luminar’s AI Sky Enhancer a try instead. 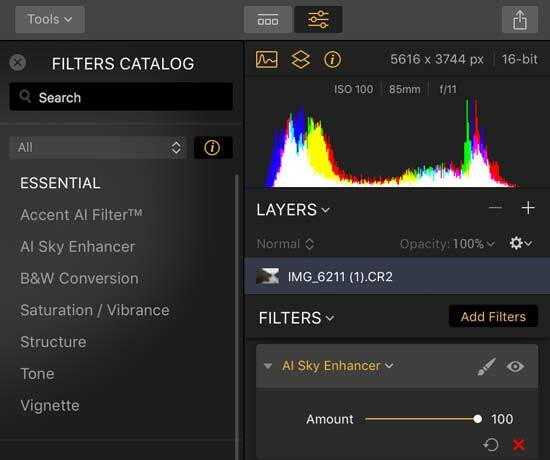 Skylum’s AI development team dedicated themselves to creating a filter that uses the power of artificial intelligence to deliver quick and impressive results in a fraction of the time it would take to fix skies manually – thus, AI Sky Enhancer was born! I put the slider up quite high for this, but you have complete control over exactly how much filter you apply. 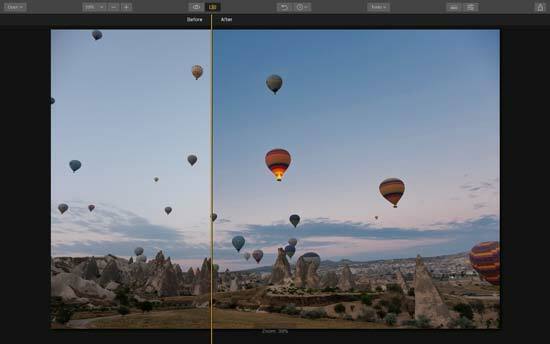 Different skies will require varying amounts, and Sky Enhancer will give a different treatment to a bright blue sky, a sunset sky or a dramatically cloudy sky. It does this by evaluating each image carefully before deciding on which adjustments it is going to make. One of the cool things about this filter is that it only changes the sky – as you can see, it hasn’t affected the rest of the image at all. Skylum used hundreds of thousands of different images in development to help the AI Sky Enhancer filter to recognize all the different image scenarios and to build neural pathways. That means every single one of your images will receive individual treatment from the filter. Let’s load another image into Luminar and try the Sky Enhancer on that. 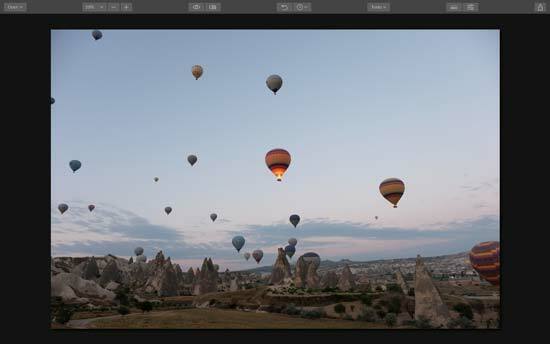 This image has a sky full of hot air balloons, and it would be a time-consuming chore to mask them all out manually before changing the sky. The sky has been made deeper and richer in color, but the balloons and the surrounding scenery has been left untouched by the filter – that’s pretty darn cool! Although The AI Sky Enhancer filter doesn’t currently work on night skies, it is a great addition to Luminar, and it will save you a great deal of time and frustration when it comes to adjusting your skies. 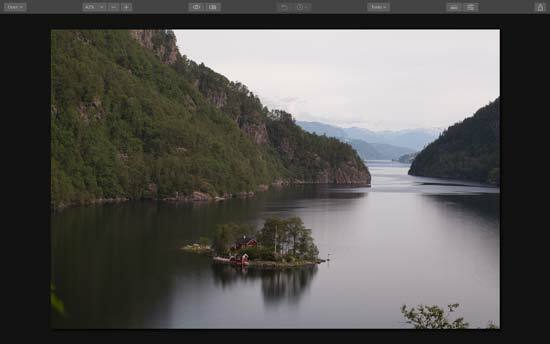 If you’re a beginner who wouldn’t know where to start with layers and masking, the AI Sky Enhancer is a brilliant tool for helping edit images, and if you’re a time-pressed pro with a lot of images to process, it’s a handy thing to have at your fingertips. Why not try it out for yourself, and let us know what you think? Luminar 2018 is available for just $59/£53 for new users, with big discounts for upgrading users. Make sure to use the coupon code "PHOTOBLOG" to save a further $10/£9 on Luminar. You can also visit the Luminar web site to try it for free.